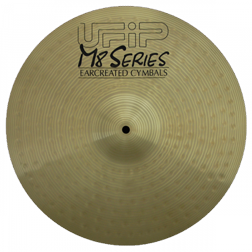 M8 Series cymbals are made using brass blanks that are produced to our specifications. 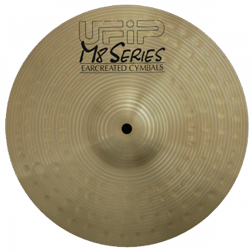 Though M8 is an entry level cymbal it is still treated with the highest quality standards and hand crafted production processes to ensure a product worthy of the UFIP name. 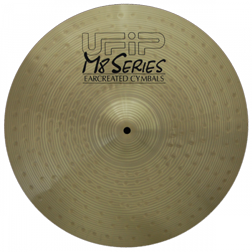 A balance between cost and quality, the M8 Series can be considered a good alternative to other mass produced products available on today’s market. 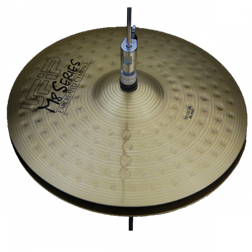 14 " 16 " 18 "
Clear, Powerful, Complete and Dynamic.